The guidelines and procedures for preparing a dissertation for the MPhil, the MMed, and the MSc degrees are discussed below. The PhD regulations are discussed elsewhere. These dissertation will have a limited focus i.e. one research question, rather than many. The following information is intended for candidates, dissertation supervisors and examiners. Candidates will need to work closely with their dissertation supervisors to focus the research proposal and to make the project manageable with limited resources. The purpose of the dissertation is to demonstrate that the candidate is able to carry out supervised research, has a grasp of the research tools in the chosen field, and is familiar with the important publications on the subject. It should also demonstrate that the candidate is able to communicate results and evaluate his/her own work and that of others critically. For the MMed and the 60-credit MPhil dissertation, the expected standard is that of a publishable article in a peer-review journal. The research does not have to be published to be examined (although candidates are strongly encouraged to pursue this). The literature review must be comprehensive, relevant and up to date, demonstrating that the candidate is aware of important publications in the field. The 90-credit MPhil dissertation and 180-credit MSc is usually written as a monograph, but may also include papers (see template below). Dissertations should be formatted for A4 page sizing, with 1.5 or double line spacing, and written in UK or SA English. Provided the dissertation is readable and internally consistent, any of a number of styles is acceptable. For the MMed, the article layout must be in accordance with the guidelines set out by the journal that submission is aimed at. The 60-credit MPhil dissertations should be approximately 16,000 words (between 12,000 and 20,000) and approximately 30 pages in length. Abstracts, acknowledgements, tables, figures, and relevant appendices would be in addition to the above stated lengths. A literature review of 2500-3500 words must be included. Abstracts, acknowledgements, tables, figures, and relevant appendices would be in addition to the above stated lengths. The 90-credit MPhil dissertation should be approximately 20,000 words (between 16,000 and 25,000). The MSc (180 credits) should be approximately 40,000 words (between 32,000 and 50,000 words). It is recommended that the modified Vancouver (NLM-style) referencing style is used. It is suggested that candidates look at completed master’s dissertations in the Health Science library for appealing layouts. The research should involve collection of data using qualitative or quantitative methods or a combination of the two, or formal review methods if it is a systematic review. This may be data from interviewing or examining research participants, or data from official publications, records, registration, or notification systems, or other databases. One cannot overemphasize the importance of arranging a dissertation supervisor as early as possible. The supervisor should be an individual who can relate to your research project, be available for frequent and regular discussion and advice, and someone with whom you can develop a good working relationship. The primary supervisor can be based outside the Division of Emergency Medicine. In such a case, an internal (or secondary) supervisor will be required in addition to the primary supervisor, to serve as a guide and link to discipline-specific procedures. 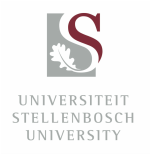 Primary supervisors retain responsibilities to the candidate and the university until the dissertation process is complete (please refer to the rules for supervisor appointments and for UCT students). Please note: in order to assist a candidate with a master’s research topic the supervisor needs to hold a master’s degree or higher. The same applies to doctoral research. If the primary supervisor does not hold a higher degree, then a secondary supervisor who has a higher degree will need to be appointed in addition to the primary supervisor. One arrangement that candidates may reach with supervisors is an undertaking to publish the study, with the supervisor as co-author. This will usually require work beyond the graduation date. Such arrangements should be discussed in advance. Supervisors are not required to do detailed editing or correction of spelling, grammar, or style. They may refer candidates to the SUN/ UCT Writing Centre for this purpose. A clinical supervisor may also act as a dissertation supervisor. In parallel to the ethics process, candidates are encouraged to apply for appropriate external funding with guidance by their supervisors. Candidates may only commence data collection upon receipt of ethics approval. The on-going data collection and write up of the research will be under supervision of the official supervisor/ co-supervisor in accordance with the previously signed MoU. Students are encouraged to highlight potential problems, both study and non-study related to their supervisors early on. If both the supervisor and candidate are satisfied with the final dissertation, they will have to submit an intention to submit, at least a month before intending to hand in the dissertation for marking. For masters degrees, three examiners are selected for each candidate, two of whom will definitely examine the candidate’s dissertation (one or more of these will be external to UCT); the third will be used if required. The examiners will most likely have national or international standing in regard to the subject matter of the research. Examiners will be selected by the Divisional Head and the supervisor. These nominations will be circulated to the dissertations committee for approval. Details required for each examiner are as follows: academic qualifications, postal and physical address, telephone and fax numbers, and email address. The candidate’s supervisor may not examine the dissertation. The candidate may not be informed of the identities of the examiners, nor have any contact with the examiners. Once the outcome of the dissertation has been finalised, the examiners’ identities are made known if the examiners have indicated that they have no objection to this. The templates below serve as a guide and is not absolute. It is perfectly reasonable for students of the MSc to also make use of the templates, but it must be understood that the MSc is a much larger dissertation. It is recommended that the MSc dissertation layout be discussed with the supervisor in the first instance. ​For the MMed, the article layout must be in accordance with the guidelines set out by the journal that submission is aimed at.